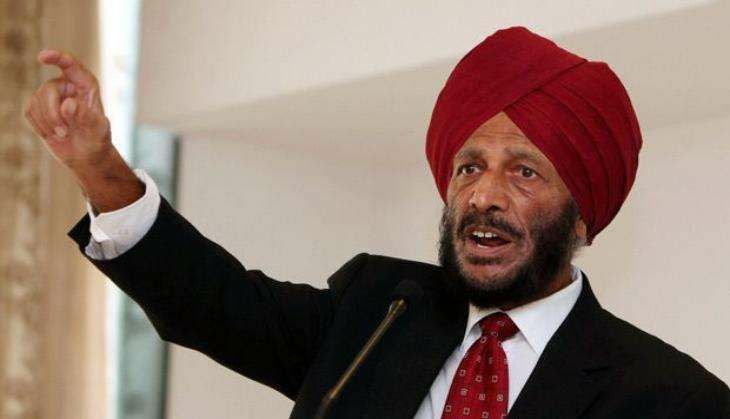 Legendary athlete Milkha Singh on 9 August lashed out at the Indian Olympic Association (IOA), holding it responsible for the poor performance of the Indian sportspersons at the ongoing Rio Olympics. Milkha, who had missed a bronze medal by a whisker in the 1960 Rome Olympics, said that the standard of performance of the Indian sportspersons has gone down as compared to earlier editions of the Games. "True, we have not being doing well (in Rio). In earlier Olympics, we have done better, winning medals, even gold, silver and bronze. The IOA will have to take responsibility for this," Milkha said. "The standard of India's performance (in Rio) has gone down as compared to earlier Olympics," said the octogenarian former quarter-miler. After three days of action at the Rio Olympics, Indians have still not won a medal with star shooter Abhinav Bindra missing out on a podium finish by a whisker in men's 10m air rifle event last night. Milkha said the IOA should call a review meeting after the Olympics to chalk out plans on how the country can do better in the future Games. "IOA should call a meeting, inviting presidents and secretaries of National Sports Federations with representative of sports ministry and plan out in which sporting disciplines India can win medals in future Olympics," the former athlete, known as 'Flying Sikh', said. Asked about Bindra missing out on a medal after a tense shoot-off, Milkha said, "The pressure did him (Bindra) in. He won the gold in (Beijing) Olympics and he must be aware that the whole of the countrymen were keeping their eyes on him. It can happen under pressure."